Analytical expressions for the envelopes of fluid jets for upright and inverted right circular conical containers are derived. Equally-spaced orifices produce water jets traversing parabolic paths. The equation defining the curve of the envelope is obtained by applying the defining constraint on an expression for the given family of trajectories. Numerical simulations are done to visualize the families and their corresponding envelopes. J. Garrido and J. P. Esguerra. 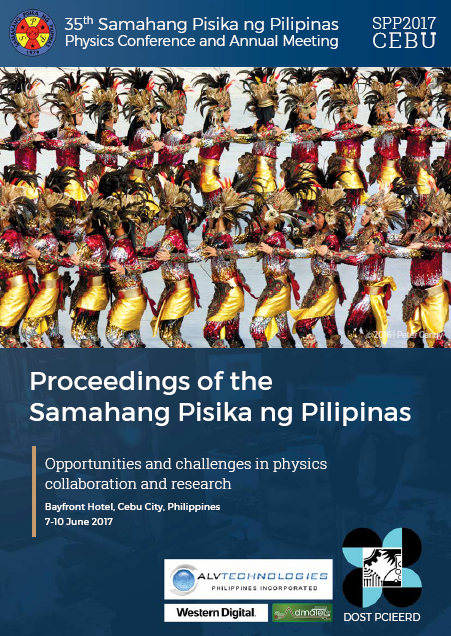 Envelopes of fluid jets from orifices of conical containers, Proceedings of the Samahang Pisika ng Pilipinas 35, SPP-2017-PB-06 (2017). URL: https://paperview.spp-online.org/proceedings/article/view/138.